Worms are a staple in the diet of most fish that live in moving water. Trout in rivers consume worms, especially during periods of high flows when helpless worms are swept from the river bed or from eroding banks. Worms come in a variety of sizes and colors. There are both earth worms (worms that burrow into soil) and aquatic worms (worms that burrow into a steam or lake bed). There are also worms that are transitional, which can live in both terrestrial and aquatic environments. Most earth worms seek out soils that have high moisture contents, which means that lake and stream margins get high priority from worms at all times of the year. Worms occur in dense populations in many silty stream and lake beds. Worms also occur in the bottoms of fast moving gravel bed rivers. 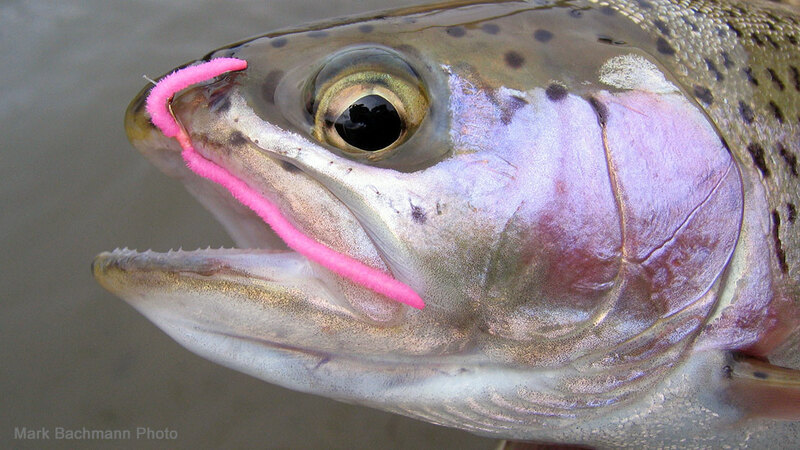 During times of floods, catastrophic drift can expose many worms to waiting trout. During these high water periods a San Juan Worm drifted along the bottom can be deadly. On local rivers "the worm" is a very productive fly during winter months or any time the river rises due to flash floods. 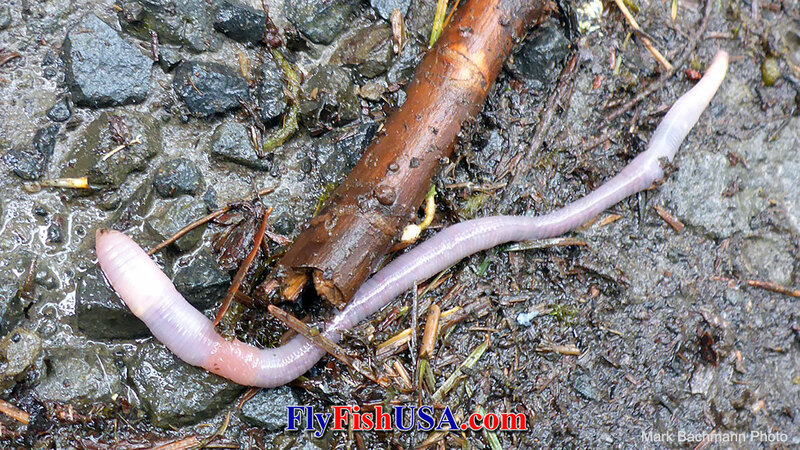 Aquatic worms come in a variety of colors ranging from tan to red. Often a fake worm fly that is brighter colored than real ones will produce more strikes, especially when the water is turbid. Be sure to have several colors of worms in your fly box. Stomach autopsies on hatchery steelhead have revealed that they also eat worms, even during the coldest winter months.